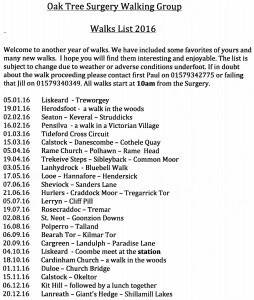 Jill and Paul from the PPG have organised a walking group that will meet in the Surgery car park on the 1st and 3rd Tuesday of each month at 10.00am. 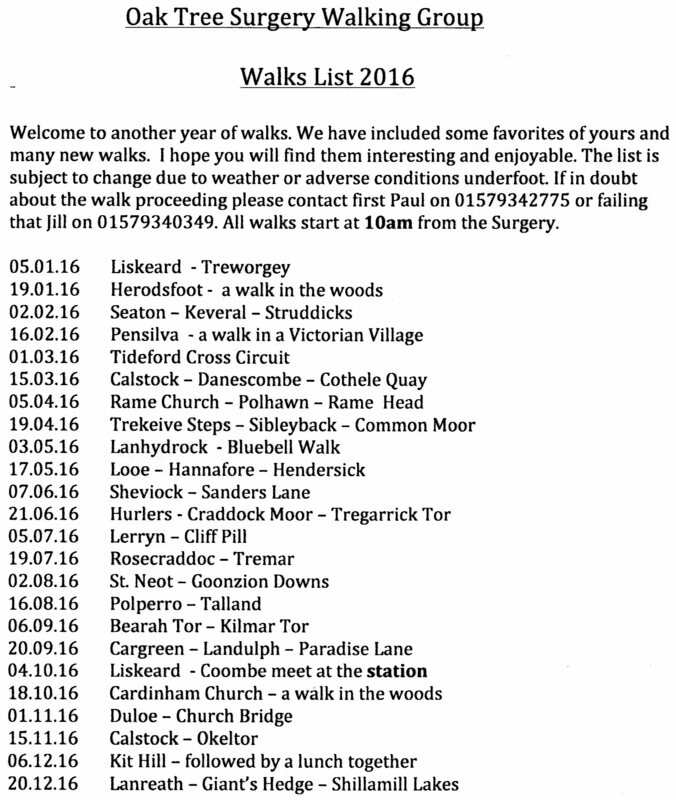 Using public footpaths, trails and tracks they will be exploring the countryside, enjoying the fresh air and the company of other walkers. Dogs on leads are welcome. Be prepared for any weather and wear stout walking shoes. Most walks will be between 3 to 4 miles and will be 1 1/2 to 2 hours duration depending on the ability of the group.